The Management Team | J. E. Bergasse & Company Ltd.
Anthony Bergasse assumed the role of Managing Director in 1995 following the unexpected death of the previous Managing Director, Peter A. Bergasse. Since taking over the daily operation of J.E. Bergasse and Company Ltd., Anthony has been instrumental in conceptualizing and driving the strategy toward a more focused direction for the Company. Defining the business priorities, mission and long-term strategy and aligning the Company to those goals has been a work-in-progress for the last decade. His leadership in this regard has delivered consistent year-over-year growth in the areas of revenue and profit since 2002. Anthony was called back to Saint Lucia in 1983 at a time when the company was in transition to a computerized financial accounting system and J.E. Bergasse management needed someone to oversee the successful implementation and rollout of this new software. Over the years the relationships with Xerox and IBM (J.E. Bergasse partners since the late 1970’s and early 1980’s respectively) were expanded under Anthony’s direction to encompass additional world-class brands including RISO, Lexmark, and more recently Lenovo, broadening the focus on Document Technology. As a complement to these offerings, alliances have been formed with regional resources to deliver and support top-to-bottom technology solutions for Saint Lucia businesses. Prior to 1983 Anthony’s experience included financial account management for Peat, Marwick, Mitchell & Company and subsequently for 3M Canada both based in London, Ontario, Canada where he held a variety of positions culminating with that of internal auditor. Mr. Bergasse holds bachelor’s degrees in Finance and Economics from the University of Windsor in Windsor, Ontario, Canada. 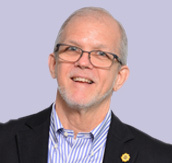 He was President of the Rotary Club of Saint Lucia (1994/1995) and is a Paul Harris Fellow. Anthony currently sits on the Board of Directors for United Re-Insurance Limited and Agostini Insurance Brokers (Saint Lucia) Limited and is actively involved in the Saint Lucia Yacht Club. Mc Carson Bledman is an aspiring development professional who is passionate about human resource development, youth development, advocacy, policy and education as he sees capacity building as the primary cure for many of the social challenges plaguing society. In 2011, he graduated from the Sir Arthur Lewis Community College with an Associate Degree in Applied Arts – Business Administration. His passion for development has recently propelled him to complete his Bachelor of Science Degree in Psychology from the University of the Southern Caribbean (USC). Career Planning, Stress Management, Professional Ethics and Social Research are among some of the areas that he focused on. Mr. Bledman has actively served the USC as the Director for Student Workers and Vice President of the student government among other student led initiatives within the past 4 years. Upon returning to Saint Lucia, he successfully completed the Basic Life and Employability Skills (BLES) Master Training with the United States Agency for International Development (USAID). Thereafter, he served as the Workforce Development Facilitator under the USAID funded Community, Family and Youth Resilience (CFYR) Program piloting the Basic Life and Employability Skills (BLES) Training in the Marchand Community. He currently serves as a member of the Education Committee of the Saint Lucia National Youth Council with the mandate to co-ordinate educational initiatives of the NYC, synchronizing efforts of the NYC with local, regional and international organizations towards the education of Saint Lucian youth. He also serves as an Executive Committee Member of the Juniors Under Mentorship Program (JUMP) which focuses on youth capacity building through academics, music, sports and the arts. Effective November 1, 2018 he now holds the position of Human Resource Coordinator for the J. E. Bergasse Group of Companies. Though the youngest of the management team, Mr. Bledman is enthused to inspire others to reach their full potential for success and to positively contribute to human resource development. Irmar Frank developed her passion for sales and marketing gaining extensive experience as an employee for a number of established companies and by pursuing formal education which include advance diplomas with distinctions from Cambridge University in Travel and Tourism, Eco Tourism and Event Planning. Ms. Frank was first employed with J.E. Bergasse in 1988 in the retail division and in 1990 she was offered the position of Country Sales Representative for American Express with Carib Travel Agency. In 2001, she was promoted to Leisure Travel Specialist, and is especially proud of pioneering the Spanish educational charter for secondary schools to Margarita Island. As a Travel Agent she attended several international trade shows, seminars and conferences such as World Travel Market, Seatrade and IBT in Berlin. In 2005, Ms. Frank rejoined American Express as Senior Account Executive for the Eastern Caribbean and Trinidad. In 2010, she continued in this position at Going Places Travel with added responsibilities for corporate card acquisition, new business development and sales strategies. During the period from 2010 to 2016, Ms. Frank has worked as an Event Coordinator for Caribbean Association of Banks, Landmark Events, Caribbean Association of Oncology and Hematology, Administrative Assistant at CARILEC and Sales and Marketing Officer for The Independent Film Company. More recently, from September 2016 to June 2017, Ms. Frank worked as the Country Manager for The British Chamber of Commerce in St Lucia. On June 2018, she rejoined J.E. Bergasse & Company Ltd in the capacity of SurePay Coordinator. 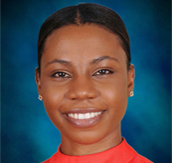 Tenesha Hutchinson has been appointed Sales Manager for Equipment and Solutions of J.E. Bergasse & Company Ltd. Tenesha has over 7 years of experience in all aspects of customer relations, team building and delivering operational results, including field expertise in the St. Lucia market selling office equipment and solutions since 2014. She began her career with a Xerox entity in Jamaica where she spent 4 years progressing through a variety of roles. During this period, she was seen as a leader who had the innate ability to take a failing team to their maximum potential while boosting customer satisfaction rates. In her most recent sales role, Tenesha was responsible for selling the entire equipment and solutions portfolio whilst fostering and developingcustomer relations. Her two years at J.E. Bergasse & Company Ltd has seen her achieve Equipment Sales Representative of the quarter on more than one occasion, Sapphire Sales Certification with Xerox, MPS Certification with Lexmark, Xerox Connect key Certification and HP Certification for SMB & Services. She holds a BSc in Marketing from the University of the West Indies and is currently pursuing her Masters in Management and Information Systems from the University of Manchester. Tenesha thrives best in challenging environments as she holds this quote dearly “Ad Astra PerAspera” which translates “To the Stars Through Difficulties”. On the personal side, Tenesha is passionate about youth development and discipline through the performing arts, with razor sharp intent she means to guide her own troupe in the near future. Walter Kardel has been in the print industry for over three decades. He began his career with Xerox Germany in 1986 where he spent 11 years rising through the ranks in both technical service and sales. During his years with Xerox he was responsible for servicing the copy and print shop environments within his assigned territories. In 1997, he opened his own Print Shop in his hometown in Germany, “HardCopy Elmshorn”. During this time he became self-taught in graphic design and employed 3 full-time staff, 2 part-time staff and an apprentice to operate more than nine Xerox Office and Production devices, as well as Canon and Ricoh production units. His business produced and created everything from business cards, vinyl banners, to garment printing and car decals. In 2008, he sold his business ‘HardCopy Elmshorm’ and immigrated to Canada with his wife, Berit, and settled in Saskatchewan. With years of Xerox training behind him, he worked in a variety of technical and sales positions, including three years with a Ricoh/HP Agency where he was responsible for building relationships with priority clients and partners along with managing service level agreements. In 2015, he would return again to Xerox Canada to service customers throughout rural Saskatchewan, with the responsibility for Xerox Work Centres and Document Centres. Walter speaks English, German and a bit of French. He and his wife have two grown daughters and two grandchildren (both boys) who all live in Germany. 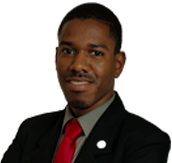 He now resides in Saint Lucia and has taken up his new role as the Manager for The Document Centre @J.E. Bergasse & Company Ltd in Vide Bouteille and on Bourbon Street in Castries. In his spare time, he enjoys volunteer work with animal shelters and is a member of SLAPS, he also likes fishing. He is passionate about customer satisfaction and lives by the philosophy of ‘getting the job done no matter what it takes’. Charles Lee is a native of St. James, Jamaica and is happily married to a loving and supportive wife, Jean. The pair have three intelligent daughters, and one fun-loving, quick-witted grandson. Charles is a Servant Leader. He believes that this approach to leadership can enrich the lives of his colleagues, create fulfilling work environments and, in turn, build better organizations. He also believes in cultivating talent and encouraging personal and professional development. Charles graduated from the University of the West Indies, Mona, in 1995 with a degree in Management Studies. Prior to this, in 1979, he earned a diploma in Technical Education from the College of Arts, Science and Technology [now UTECH] after which he taught Electrical Installation and Engineering Science at his alma mater, Cornwall College, for three years before moving into the field of technical support with Xerox Jamaica Limited. 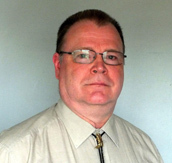 Charles has held a number of technical and managerial positions throughout his 30 year career in the industry. Starting in 1981, he served as an Electronic and Mechanical Repairs team member for 4 years before being recruited to his first management role as the Field Service Manager for Xerox Jamaica Ltd. He was later promoted to Technical Services Manager and served in that position for almost 10 years. Charles’ dedication to teaching, personal and professional development served him and his colleagues well. He is seen as a supportive supervisor who also challenges his staff to do their best work. 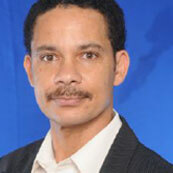 Charles later transitioned to the position of Customer Service Manager at INFOGRACE Jamaica. In this role, he was the bridge between the company and the customer, resolving conflicts efficiently and effectively and recognizing staff who excelled in their roles. Using his strong planning and organising skills Charles introduced tactics to support the strategic objective of the organization while reengineering business processes to achieve greater productivity. 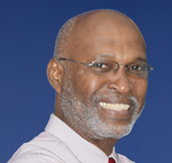 Charles later became part owner of Computers and Controls Jamaica Limited before being convinced to return to XEROX, Jamaica [now Productive Business Solutions (PBS)] as Customer Service Manager. He remained in that role at PBS for 10 years before returning to his other passion – teaching, molding and developing young minds. For the last 4 years, Charles has taught a variety of subjects including, Mathematics, Information Technology and Business Management, at the Jamaican German Automotive School. Charles is excited about his next adventure as Technical Service & Customer Support Manager at J. E. Bergasse. Over the next 2 – 4 years, he intends to apply his knowledge, skills and ability, combined with his passion for teaching, to coach, mentor and prepare his staff and develop them into the future leaders and managers of the company. 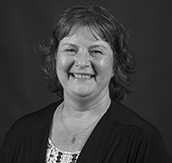 Mairi Low has been Financial Controller & Company Secretary since joining the company in 1996. Her responsibilities include all areas of financial and corporate secretarial activities as well as co-ordination of the company’s strategic planning process. She has a wealth of experience in the field of finance, with a background in auditing and accounting having worked both locally and in the U.K. with the firm of PricewaterhouseCoopers. Mairi is a Member of The Institute of Chartered Accountants in England and Wales (ACA), a member of The Institute of Chartered Accountants of the Eastern Caribbean and a graduate of The University of Liverpool B.A. (Hon) Accounting. Francis Plant joined J. E. Bergasse & Company Ltd. on September 8, 1980 as an Assistant Technician after graduating from the ‘A’ Level College and St. Mary’s College. Francis was promoted to Service Manager on August 1, 1996 and Group Network Administrator on June 18, 2007. Over the years with the rapid changes in technology, Francis has kept abreast of these changes with constant training. His attention to detail to customer service has earned him the respect of his peers. Francis was instrumental in the move and setting up of the technological infrastructure for the Company when it moved to its headquarters in Vide Bouteille in February 2002. Since then Francis has been focused on ensuring the smooth, efficient and secure operation of the JEB network whilst still being available to assist with technical problems in the Service & Support Department. Francis is a CompTia A+ Certified Technician and now holds the position of I.T Manager for the J.E. Bergasse Group of Companies. Debra Ross joined J.E. Bergasse & Company Ltd. on January 9, 2012 as the Sales Manager – B2B E-Commerce,Stationery & Office Supplies; with responsibility for driving sales for stationery and office supplies including paper, inks, toners and small office equipment. In addition, she is responsible for B2B E-Commerce. Prior to joining J.E. Bergasse, Debra worked 11 years in Bermuda in the office supplies industry. The last 5 years as V. P. Business Development for A.F. Smith Trading Co. Ltd. where she was responsibilities for growing sales and B2B E-Commerce revenue. Debra has an outstanding reputation for building strong client relationships and promoting value added services. Debra has over 30 years’ business experience. She has worked in Sales and Marketing, Logistics/Operations, Customer Relations and Finance. Debra holds a BSc in Business and Finance from George Brown College, Toronto, Canada. She graduated from The International Coach Academy in January 2016 and is now a Certified Professional Life and Success Coach. Menellia Valcent commenced her career as an Administrative Assistant at AGRICO (Agricultural Consultancy & Technical Services Limited) in 2008, during this time she facilitated and executed a number of administrative tasks directly relating to the timely and effective execution of environmental projects; including the Riverbank Assessment Project, Biodiversity Project and the still ongoing Pilot Project for Climate Resilience funded by the CIF before taking up a new role as the Sales Administrator at J. E. Bergasse & Company Limited in 2011. 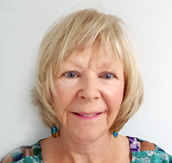 From there she devoted her time to learning & acquiring valuable knowledge in selling the portfolio of products as well as the development of her supervisory skills, whilst working alongside both the marketing & sales managers of the company. In August 2016, she was promoted to Administrative Supervisor for the Sales Department & Customer Support Team. Whilst building her career & skills in sales & marketing, she became an avid learner of social media, digital marketing and content management. 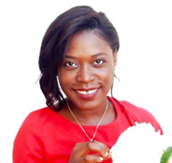 Menellia is extremely passionate, trained and certified in the inbound marketing approach which thrives in relationship building and currently possesses a Certificate from HubSpot Marketing in that area. She holds a Professional Certificate in Supervisory Management from the University of the West Indies. She is also certificated in International Leadership & Organizational Behavior via distance learning from Università Bocconi of Italy, and is currently studying high performance techniques for business & life with Global Success coach Brendon Burchard. Menellia’s life goal is to inspire the lives of women on a global scale daily, as such, she remains a regular contributor to Arianna Huffington’s “Thrive Global Platform”, and currently coaches women locally & globally on mindset, personal development & goal attainment. 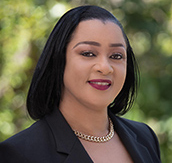 With her new appointment as the Advertising & Promotions Coordinator effective November 12, 2018, Menellia’s responsibility will be to effectively manage the market development for the J.E. Bergasse Group of Companies.